Alfred Deller can truly be called a pioneer of early music, developing his own voice and taking it to the public sphere in the face of frequent misunderstanding and even prejudice from his hearers. Considering the superstar status of Andreas Scholl and Philippe Jaroussky today, it’s odd that the clear, high-pitched voice of Alfred Deller was thought peculiar, even unnatural, during the early days of his career. Here’s Alfred Deller with his son Mark singing Purcell’s Sound the Trumpet, accompanied on the guitar by the very versatile and largely unsung early music pioneer, Desmond Dupré. It’s often forgotten that, at the time that Deller became famous, he was by no means the only male alto around. In fact, there was a veritable army of them – particularly in English cathedral and church choirs. Until Deller, the [male] alto was regarded as a sort of vice [as they were associated with an unpleasant hooting sound] that one had to put up with. Many cathedral organists have groaned under the burden of their altos … particularly as they did not become more pleasant with age. Deller was very unusual among modern singers in that his voice still hadn’t broken at the age of sixteen. He developed his own technique for singing in the lower register, when his church choir master suggested that he stop singing as a boy soprano and become an alto. The whole fascinating story of how he created his own sound, and moved from being a furniture salesman to become a world-famous singer, is told in great detail in A Singularity of Voice (the 1968 biography of Deller) by Michael & Mollie Hardwick, which has been the source of much of information used here. It was the composer Michael Tippett who was to help launch Deller’s solo career. Tippett was a worthy successor to Gustav Holst at London’s Morley College (the working person’s educational temple), and continued the tradition of reviving forgotten works, particularly by Purcell. Deller’s London debut followed in October 1944, aptly in the Holst Room at Morley College, where he sang in verse anthems by Gibbons and Purcell and ended with what was to become his trademark solo: Music for a while. Tippett also organized an appearance for Deller at one of the famous wartime National Gallery concerts, and introduced him as “the possessor of a remarkable countertenor voice [Tippett was reportedly the first to use this term in modern times, reviving it specifically for Deller] … and that he had also trained his two sons to sing”. The first part of that comment was intended to prevent whispering or giggling which might have “put the obviously nervous Deller out of his stride and prevented him from making a telling impression”. The purpose of the second part is pretty obvious. In the 1940s, some people thought his voice so strange that they felt compelled to write to him, insisting that there must be something wrong with him! Apparently, Deller’s stoic response was always to send a photograph of himself with his wife and three children, to those who included their address. 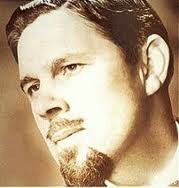 Alfred Deller, by his first-class interpretation and unassailable technique … helped to open up a great repertoire of Purcell and Handel [to] a highly sophisticated and critical public. Many works which had simply been regarded as historical relics, not normally accessible to the concert hall, came forward into the ranks of acknowledged masterpieces. Gustav Leonhardt, who was then still teaching in Vienna, to participate in the ground-breaking 1954 Vanguard recordings of Bach cantatas and Elizabethan music, together with the Deller Consort, which Deller had founded in 1950. The ensuing contract with Vanguard brought Deller into contact with many other groups and made him famous everywhere – except in the UK, where the recordings were not distributed. Here’s Alfred Deller and Margaret Ritchie with the lovely Act II duet from Handel’s Sosarme, “Per le porte del tormento”. Despite his success, it was not until 1962 that Deller finally left the choir of St. Paul’s Cathedral – which he had joined in 1947 – feeling, at the age of 50, that he could finally support his family as a freelance musician.